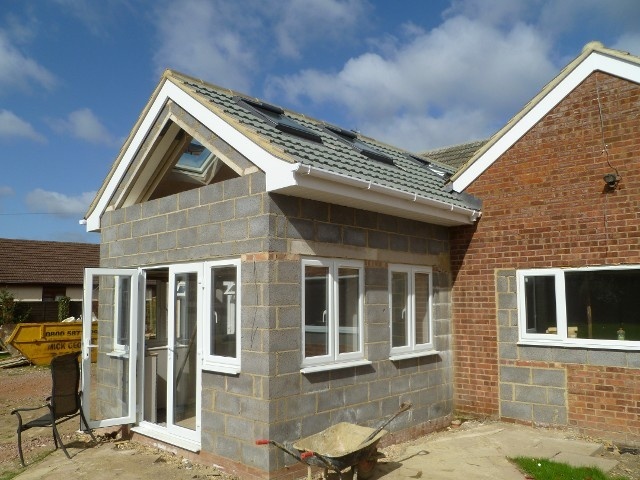 If you are looking for a building company in Northampton and Northamptonshire to help you with our extension then we can help. We know that most people would like a company that can be with them from the initial design stage, all the way up to when the project is complete. Here at L E Glennon Building & Carpentry Ltd this is exactly the service that we offer our customers. We offer this service so that there is never any confusion over all the stages of the project. This also means that no design features will get lost when another company takes over. We can be with you from the beginning to the end of your project and make sure it go as smoothly as possible for you. The skilled tradesmen on our team have over 20 years experience in the industry. When it comes to the building stage of the project you can be sure that you are in safe hands. They work hard for each and every one of our customers and make sure all the work is done to the highest standards. This is simply because that is what our customers deserve. If you are in the Northamptonshire area and are in need of a quality single storey or double storey extension then give us a call. We are more than happy to help the whole way through the project if you would like us to. We can help you with the design phase by using our experience and knowledge to help you create a great space and then we can build it for you. It is really that simple. Get in touch today to begin the process of getting your brand new extension added to your home.